The Ruger LCP (an acronym of lightweight compact pistol) first made its appearance at the 2008 SHOT Show. Ruger (officially Sturm, Ruger, & Co., Inc.) has been around since the middle of the 20th century, manufacturing firearms of all kinds and calibers: revolvers, pistols, rifles, and shotguns galore. The company’s first foray into the sub-compact milieu was made with this neat little pocket gun: the Ruger LCP, chambered in .380 ACP. Enjoy our Ruger LCP Centerfire Pistol Review! 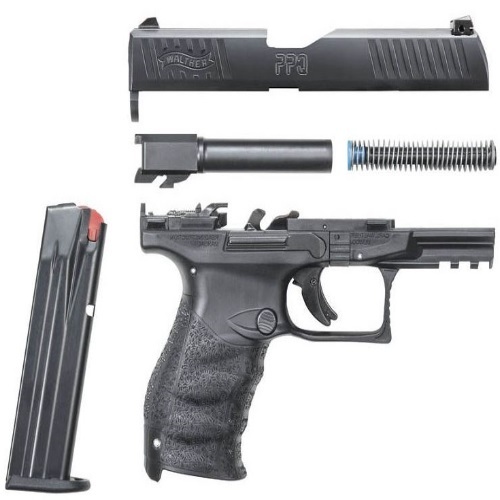 So, these dimensions and specs clearly paint the picture of a sneaky little pocket gun which utilizes an impressive round, and which can clearly claim to be one of the most seriously usable and concealable firearms out there. Whether it is for home-defense or everyday carry, the LCP is a highly affordable option. The .380 cartridge is very similar to the 9X19mm Parabellum. It was developed by John Browning in the early 20th century, and has even earned the nickname 9mm Browning (among others). It is a shortened version of the more famous 9mm round, and even though it may not be as popular nowadays, there are many firearms manufacturers who design and produce excellent guns in that caliber. 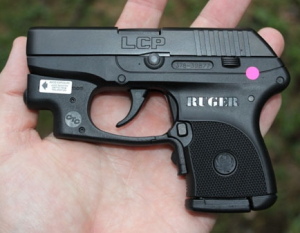 The design of the LCP is similar to other small Ruger semi-automatics, like the LC9 and LCPs. It has a polymer frame and a steel slide/barrel. The grip is two-fingered, and there is the option of using a finger extension. The standard magazine is a 6-round single stack, and there is the option getting an extended 7-round magazine as well. Some say it is not an easy gun to shoot, but all things considered (size, weight, materials) it is highly shootable. Unlike other sub-compacts, like the Glock 26 or certain Kel-Tec models, the Ruger LCP strikes me as a gun that is meant more for civilians than anyone else. It just doesn’t feel to me like a gun that would make a good backup. The firepower is on the low side with this weapon, so police and military aren’t apt to carry them. However, for civilians who are looking for a reliable concealed weapon, it is certainly fitting. Most civilian self-defense situations occur within very short distances, and end pretty quickly. The chances of you needing more than 6 + 1 rounds of ammunition are statistically slim. What can be said about the price of this neat little pistol? It is adequate and appropriate. A small price for a small gun. Some shops and websites set their price closer to the neighborhood of $300, but either way it is an affordable price, by almost any standard. This gun may be small, and at a glance it may appear to resemble a child’s plaything. However, we must not forget that there is actually a whole lot of meticulous design, delicate fine tuning, and careful engineering that goes into developing and subsequently producing a firearm such as this. It took a long time to make this piece of hardware into a viable weapon, and the suggested retail price of $259 is more than fair for the peace of mind which a gun like can provide. Furthermore, the price is fair in light of the relative abundance of powerful, pocket-sized 9mm/.380 handguns. It is all about supply and demand, and right now there are plenty of options and alternatives to go around. 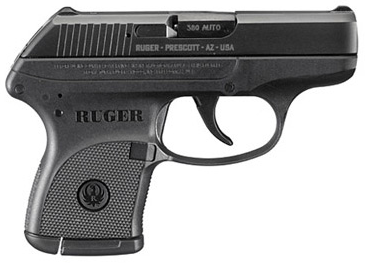 Ruger would be making the wrong move if they had released this handgun with an expensive price tag. By making this gun very affordable, they paved the way for the sale of what is probably hundreds of thousands of LCP units by now. Holsters are important, period. But they become even more important when dealing with a concealed weapon. No matter where you choose to carry (hip, ankle, front pocket, back pocket, shoulder, cross body, small of the back), the holster better be a good match. This may be a no-brainer, but the last thing you want is a holster which will have you re-adjusting and shifting yourself uncomfortably. Forget any ‘tacticool’ kind of usage. The holster needs to be as perfect as possible, because it facilitates a proper draw. When you train, you train with your holster, which is why it is important that you take your time and choose the best one for you. Here are a few popular options for the LCP. We’ll start with two pocket holsters. Nemesis LCP, by DeSantis: This is a pocket holster by the very well-known DeSantis company. It has great retention, stays in your pocket, provides an easy draw, and is made of materials which cover up the outline of the gun while it is in your pocket. Also fits the Kel-Tec P3AT and the Taurus TCP. 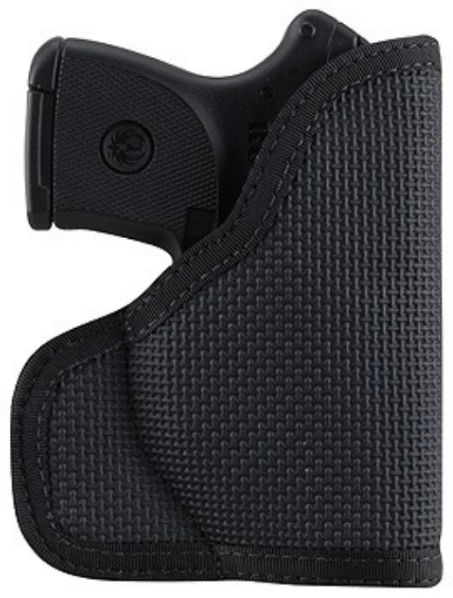 LCP Pocket Holster, by Ace Case: Another popular option in the form of a pocket holster. Made of nylon, and fully lined to protect the interior, this holster guarantees the safety and security of those who use it. It has a no-slip exterior, and is highly convenient. These two pocket holsters are about the same price ($15), and they perform in the same way. Pocket holsters are always a good option for concealment, since they require no belt or buckle, nor strap of any kind. Just slip it in your pocket, and you are good to go. OB-31SC, by Outbags: This one is an over the waistband belt holster, and it comes with a magazine pouch. It is made of tough nylon, and there is a choice of a right- or left-handed model. It has an adjustable thumb break, a removeable clip made of steel, and a belt loop. You can attach it in several ways, and it fits a wide range of models. Belt Clip, by Techna Clip: This is a relatively simple and minimalistic holster, optimal for concealed carry. You could argue that any of the above holsters are ideal for concealability, but I feel the clip is altogether easier and less bulky then belt or pocket holsters. The clip is made of strong carbon steel and coated with teflon. It installs in a few minutes’ time, with no gunsmithing or warranty-voiding modifications. Again, these are just a few options. Take your time, do your research, try some holsters on at your local gun shop, and see which carrying method best fits your needs. That way, you will have a better idea of what to look for. I briefly mentioned the LCP’s limited firepower earlier. I guess it is the price you pay for the amount of concealability which the LCP provides. You can’t expect a gun like the LCP to come with a double-stacked, 12-round magazine as a standard. It just doesn’t make sense, considering the gun’s size, weight, and build. However, companies like ProMag have come up with 10- and 15-round magazines, which may not be as concealable (to say the least), but which allow the shooter to get a better grip and greater purchase around the points of contact. With the LCP’s 2-fingered grip design, it can sometimes be difficult to manage, and the extra length of the magazine helps out. As for practical uses outside the range, I feel that it is best to pick one of these up and carry it in your car or bug-out bag. If you are looking for concealability, you should probably stick with the standard 6-round or extended 7-round options, and – if you want – carry an extra 10-round or 15-round along with you, as a just in case. Accessories and optics are always a hot topic. The important thing to remember is that accessories are there to improve your shooting and make it easier for you to hit the target. That is it. Any other considerations or factors are secondary and borderline-inconsequential. With that in mind, the LCP has a rather limited array of accessories. This is because it is a very small gun. Adding anything to it, which can alter the bulk and weight, should be thought of carefully. Why buy a 9 oz. gun, only to laden it with stuff. There are only a couple of accessories which you should look into at first. After that, as always, it depends on your needs. I am talking about a laser/flashlight and a grip. 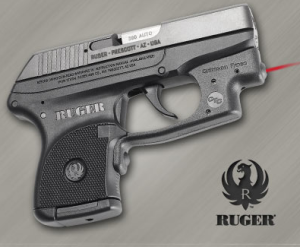 Crimson Trace manufacture a laser tailored for the Ruger LCP – the DS-122. It is ergonomic, ambidextrous, and accurate. The laser comes in two pieces, and installs very easily. Once you install it, adjust the beam at the range, and you are ready for tackling bad weather and poor lighting conditions. Be sure to train with and with the laser, because you never know when it could malfunction or break. Crimson Trace lasers are very reliable and durable, but you shouldn’t count on it. In most emergency situations, the laser will definitely help with follow-up shots, but that first shot will almost always be straight-up point and shoot, guided by instinct and proper training. Same goes for flashlights. Viridian make a great-looking, automatically-activated tactical flashlight for the LCP. Simply draw it, and it turns on. Convenient and easy to use, for sure, but again – make sure to train without it as well. Grip extensions by Pearce, Garrison Grip, and Hogue seem to be the most popular options. With a gun as small as the LCP, getting a firmer and tighter grip is something which many people want. These accessories allow the shooter to aim better, and produce better results on the range (which later translate into better gun-handling in emergency situations). If you feel your grip could use some help, but do not want to extend the magazine, getting a grip extension is highly recommended. In October of 2008, Ruger recalled a number of LCP pistols, based on serial number. According to the company, the recall was made due to the possibility of accidental discharging. 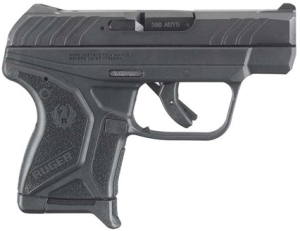 Ruger announced it would upgrade the LCP’s hammer system, and make several other improvements (the company did not specify further). Ruger’s customer support offered compensation to the owners, in the shape of a grip extension. No other recalls have been made, and the LCP continues to be a very popular subcompact. In October of 2016, 8 years after the release of the original LCP, Ruger announced that a new LCP model – the LCP II – is now available for purchase. The LCP II is slightly larger version of the original, and it retains many of the characteristics which have made its predecessor so popular as a concealed carry gun. The LCP II has a single-action trigger pull, with a frame of high-strength polymer, and a barrel and slide of blued alloy steel. The sights have been improved, the trigger has been upgraded, the grip’s texture is better, and there is even an included floorplate extension for those interested. The LCP II also comes with its own Ruger pocket holster. The LCP II comes with a single 6-round magazine. Older LCP magazines will work with this new gun, but they carry one major disadvantage – ejection of the last round in an old LCP magazine will not hold the slide open in the new gun. If you find that it is not a problem, go for it. The original’s extended 7-round magazines, however, are NOT compatible with the LCP II. The MSRP for the Ruger LCP II is $349, and it is available online and offline, pretty much wherever firearms are sold. So, what more can I say? The LCP is a great little pocket gun. With practice and proper training, any shooter will be able to make the most of this unique little weapon. Ideal for concealed carry, and popular ever since its release in 2008. A nice small gun for a good price. 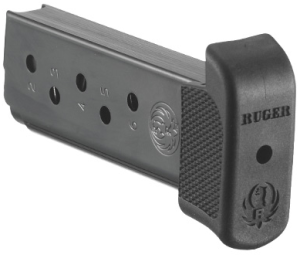 Thanks for reading our Ruger LCP feature. Check out some more great reviews like our Kel-Tec PLR or Glock 36 articles, right here at your one stop shop for all things guns – Gunivore!